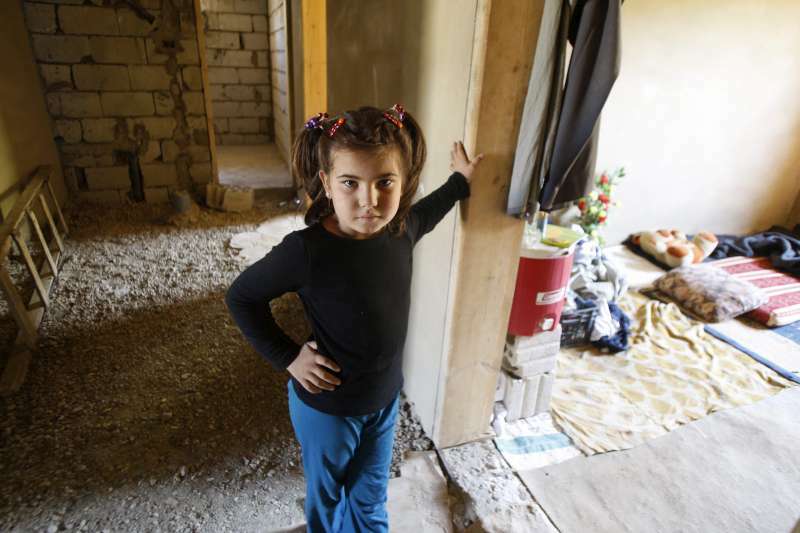 The war in Syria has transformed the Bekaa Valley in Lebanon. The fertile depression has become the shelter of the horrors and grief of war. The project of the Foundation, which brings sanitation to schools in the region, reveals that, despite being one of the countries with the greatest scarcity of water in the world, it has hosted more than one million refugees in the last seven years. 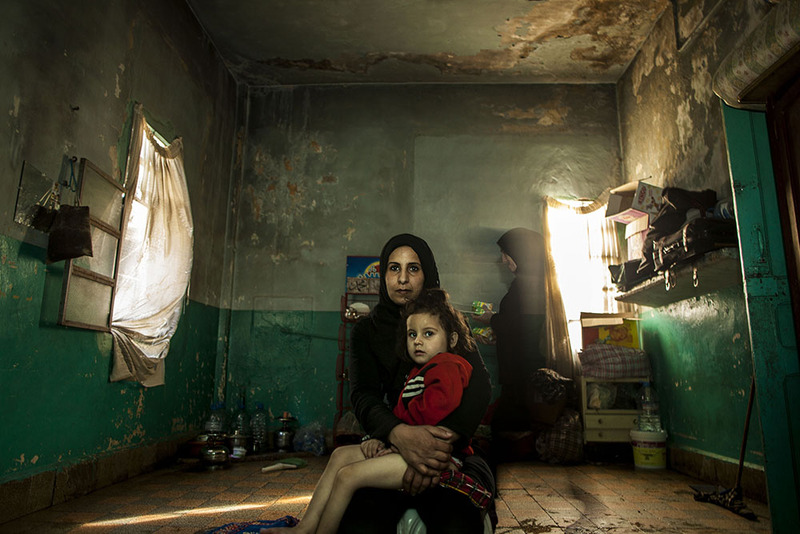 According to UNHCR (the UN Refugee Agency), there were 991,165 Syrian refugees registered in Lebanon in March 2018. Of these, 357,592 were in the Bekaa Valley. 28.7% of them are boys and male teenagers below the age of 18, and 26.4 % are females of that same age. ACNUR estimates that another half million refugees remains in the country without a specific status, making up a statistically invisible population. Many of them have arrived on foot, crossing the mountains of the Northeastern border of the country, which give access to the Bekaa Valley. This has been until now the escape route towards freedom for most of the Syrian refugees in Lebanon since the outbreak of civil war in Syria at the beginning of 2011. 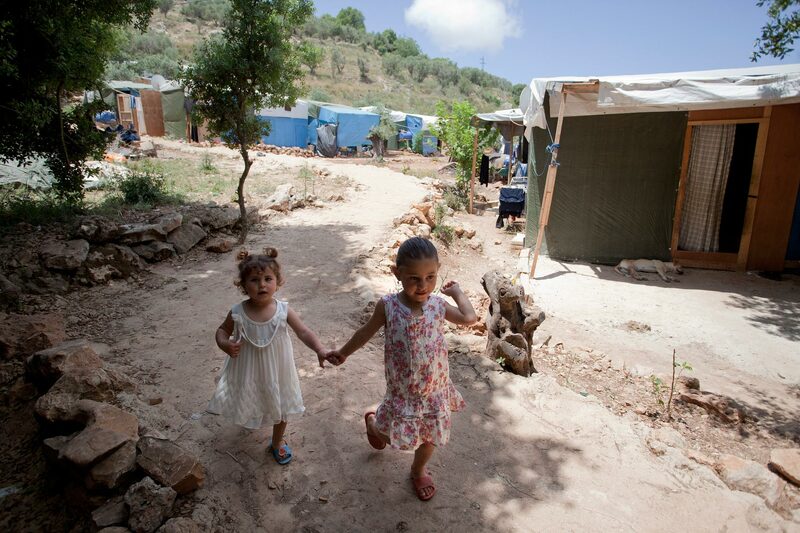 These have joined the more than 650,000 Palestinian refugees who have been in the country for decades, and therefore Lebanon has become the country with the highest per capita concentration of refugees in the world. The demographic pressure of this migratory flow has considerably increased water stress, in areas already endemically deficient in supply and sanitation facilities. 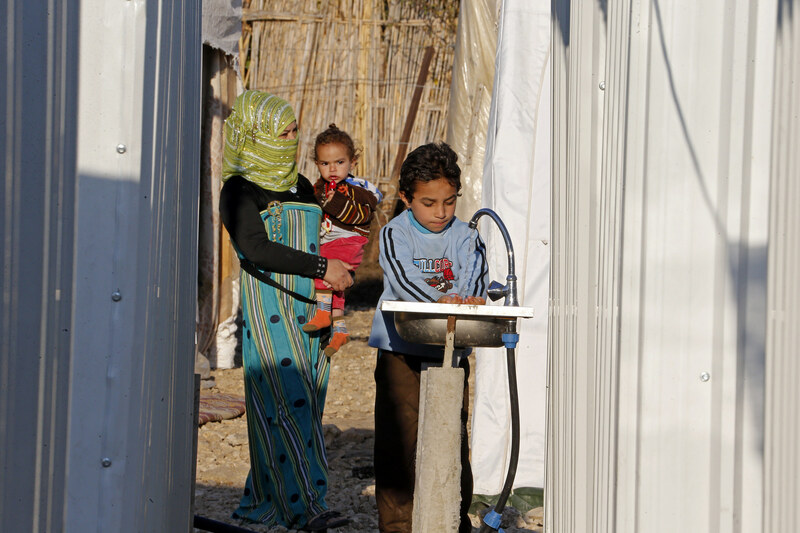 In the Bekaa Valley, before the Syrian crisis, surface and groundwater resources were already largely overexploited, and over 50% of the supply network had exceeded its useful life, reaching a rate of Unregistered Water, which is lost in supply, 13% higher than the world average. Nowadays, only 36% of the population, regardless of their nationality, uses safely managed drinking water services. An example of the magnitude of demographic stress is Arsal, a city with a population of 40,000 inhabitants, which has received around 120,000 displaced Syrians. This is a major crisis. In addition to the lack of water resources there is also a lack of immediate assistance to refugees, which has led to a significant deterioration of the living conditions and social cohesion, affecting both refugees and the host populations and notably increasing the vulnerability to any environmental and public health risk. In spite of the efforts made to move forward towards a response focused on stabilization, basic humanitarian needs continue to be extraordinary. And one of the most dramatic aspects is that of schools. Public schools in Lebanon mainly depend on piping networks (67%) and groundwater (18%) as sources of drinking water, the remaining options are tanks filled with reservoirs, bottled water and surface water. The water supply through municipal networks is periodically interrupted, which implies that schools need to have alternative sources and a high level of pollution. Moreover, it needs to be taken into consideration that in many cases groundwater is already polluted, either due to unsafe septic tanks or through filtering of seawater due to the overexploitation of aquifers. On the other hand, soap is available in less than 50% of schools, which represents another important risk of transmission of diarrheal diseases. The migratory crisis has put these precarious infrastructures under a stress they cannot bear: in 2018, 50% of the students are not Lebanese and the doubling of teaching shifts has increased the needs of effectiveness in the supply and sanitation. The We Are Water Foundation collaborates with Acción Contra el Hambre in a project to help both Syrian boys and girls and host communities meet their needs in terms of water and sanitation in schools, so that they can adequately respond to current and future impacts. 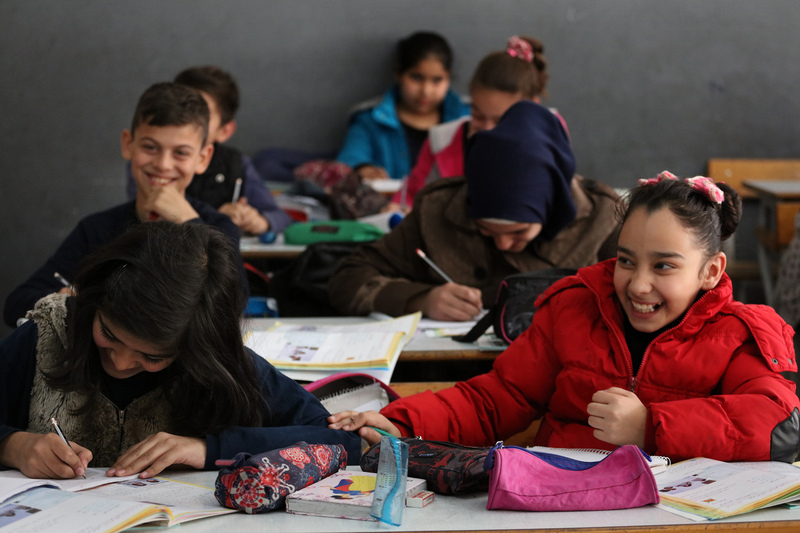 More specifically, the project will contribute to the improvement and access to Water and Sanitation services in the Al Rafeed Intermediate School in Al Rafeed, in the Central region of the Bekaa Valley. The project shows a reference model: reconstruction of the connection to the water and latrine system for students and teachers; construction of handwashing points with adequate drainage close to each latrine; planning of promotion activities of good hygiene habits; and what is really essential, the creation and support of a Water and Sanitation Committee inside the school, as the provision of faucets, basins, WCs and consumables, such as soap, is not enough to have a significant impact on the occurrence of water-related diseases. The hygiene promotion campaigns are essential to achieve an effective improvement of the health of students. Regardless of the resolution of the Syrian civil war, a conflict in which a pacific solution is not visible yet, the drama of the displaced is always related to the lack of water and sanitation. It happened in the Darfur war (see the aid project in refugee camps in Chad) and it will continue happening with increasing gravity if most of the wars take place in the areas of the world with greater poverty, aridness and climate vulnerability. The international community needs to double its efforts to prevent this from happening and the slogan of the upcoming World Toilet Day, “Leaving no one behind”, should have a special impact on the tragedy of the refugees.